When renowned chef Shaun Rankin purchased his site in the heart of St Helier, Jersey, it was chosen to appeal to a wide range of guests and also enhance the vibrancy of this historical centre. He wanted to make his restaurant a true destination, and appointed London designer Martin Brudnizki to help realise his dream. 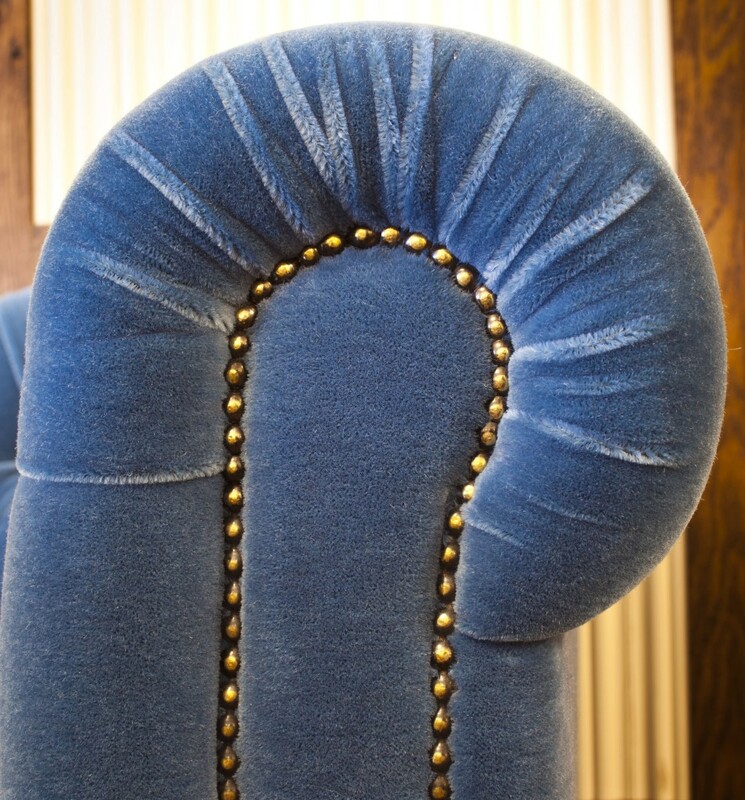 Martin Brudnizki contacted us here at Craftwood to manufacture the desired bespoke banquettes. Having previously collaborated on a number of successful projects, there was no doubt we would deliver a first class result together. Previous projects included The Club at The Ivy, J Sheekey and several of Jamie’s Italian restaurants. 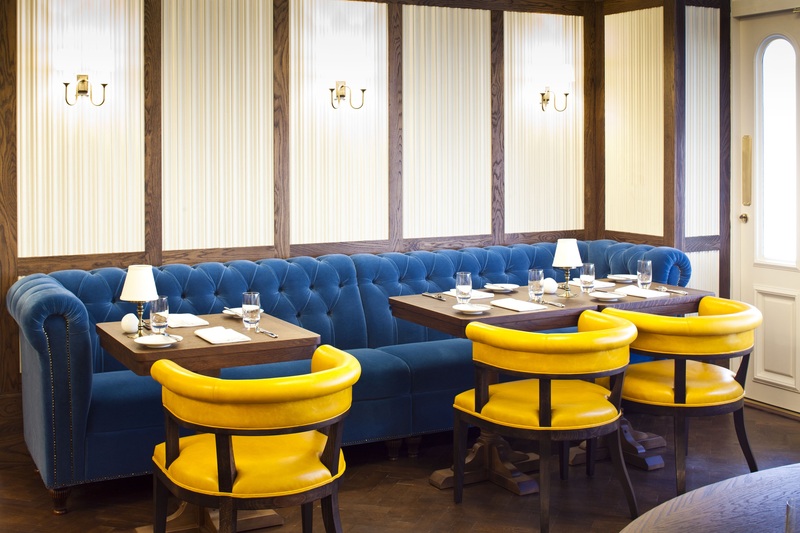 The décor and ambience of any restaurant is perhaps equally as important as the food it serves, the designers have certainly delivered at Ormer. Craftwood created bespoke Chesterfield style banquettes in a luxurious mohair fabric which embodies the perfect blend of comfort and sophistication. Sprung seats were chosen for optimum comfort and lifespan, ensuring supreme quality, regardless of the level of usage. As the seating is predominantly used for dining, it was vital that important elements such as seat heights, depths and lumbar support were all addressed for maximum comfort and style. The beautiful buttoned scroll arms, with metal studding detail, mounted on reeded turned legs completed these stunning banquettes. The Chesterfield design of seating is a sought after addition for its characteristics of elegance and class. 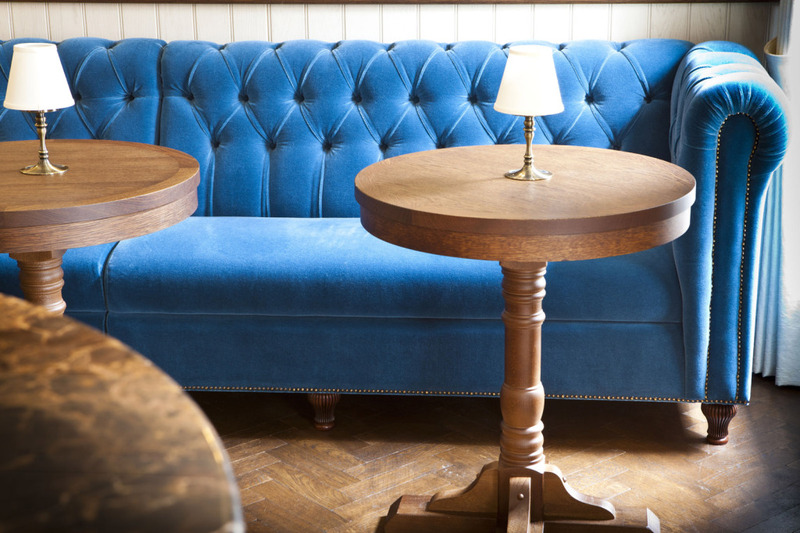 We were also commissioned to manufacture a bespoke oak framed banquette for the bar. This design needed to reflect the altered atmosphere from the dining area. 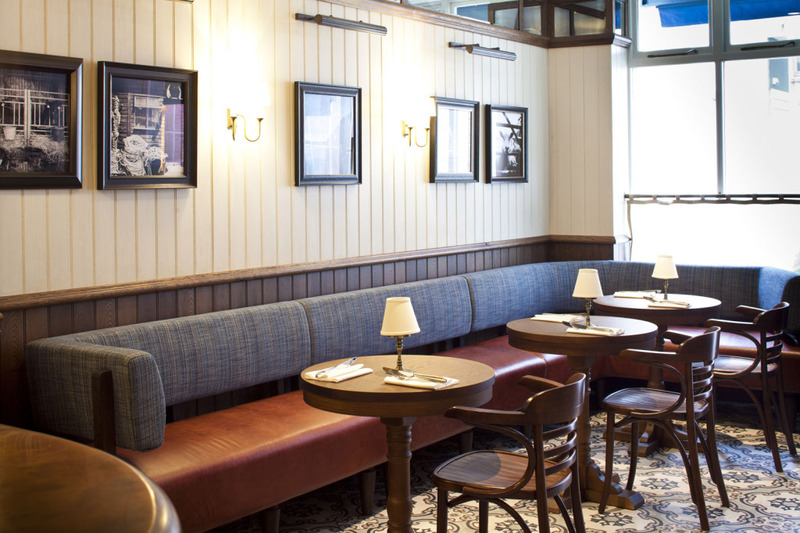 We worked closely with the main contractor Cameron’s, ensuring that the seating incorporated the beautiful bay window, giving the bar a distinguished charm. Just four months after opening its doors, Ormer gained its first Michelin star accreditation. Well done to Shaun Rankin and Team!